No matter the style or design of your home, there are always things one can do to add a little homeliness and charm to the residence. 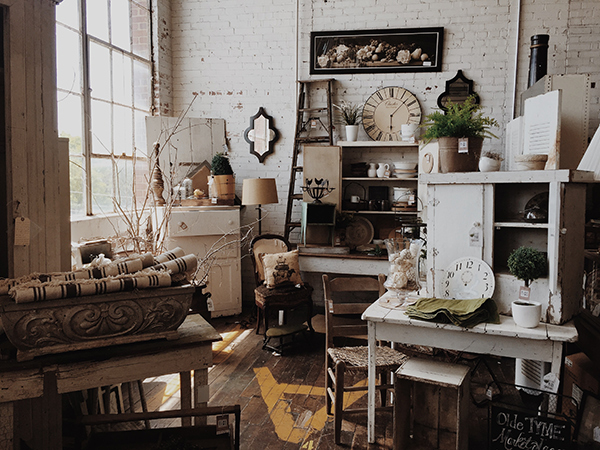 Hand-picked antiques, for instance, can certainly achieve the objective, and with a lot of patience and a keen eye for a bargain, antique furniture hunting can bring about the desired look. 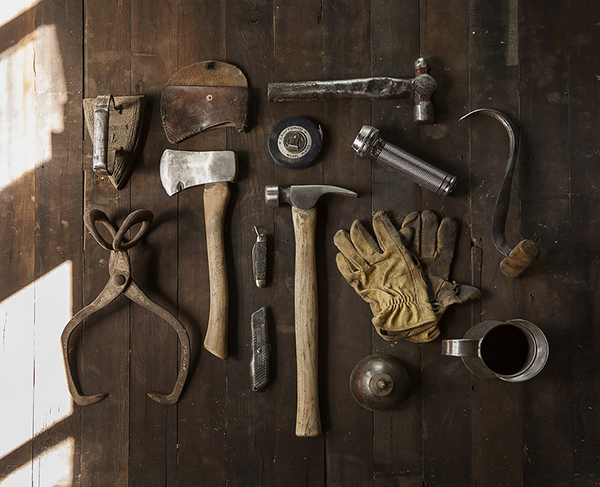 For most homeowners, sourcing the right furniture items can be a little challenging and rather than having an open mind when out furniture hunting, why not browse the many online antique dealer websites first, which will give you some firm ideas. The Internet is useful in oh so many ways and the World Wide Web is an invaluable tool when searching for anything, especially selected items of antique furniture. By simply typing the words, “antique furniture for sale” into a search engine window, you can spend countless hours browsing until you find exactly what you are looking for, and more often than not, you can actually make the purchase online and have the item delivered to your door. Can Old Go With New? The short answer is yes, however, it should be made clear that your choices are many and making the right selection is all down to personal taste. A walnut sideboard or cabinet can look stunning in a modern room, as a teak table and if you would like some inspiration of blending old with new, the Internet can provide you with many fine examples. Of course, you need a little imagination to picture specific items in your current layout and then there is the opinion of trusted friends, which is always a helpful way to gain assurances. If you have made up your mind to include a few select pieces of antique furniture to your décor, make sure you purchase from a reputable antique dealer, as there are many unscrupulous people who make a living out of masquerading look-alikes and selling them at inflated prices. 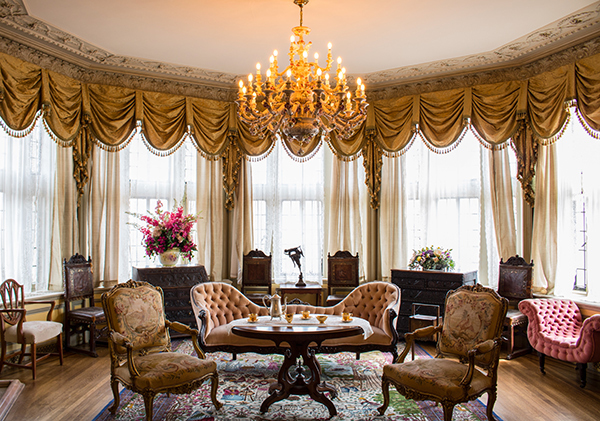 There are many online dealers of fine antiques and by sourcing one that has a well-deserved reputation for honesty and integrity, you can be sure the items you purchase are, in fact, antique. If you live in the UK, for example, sourcing the right antique furniture items has never been easier, and once you have sourced a reputable online dealer, they would have access to untold listings, allowing you to browse a wider selection than if you went out furniture hunting. We sometimes worry too much about what others think and regarding home furnishings, if you the owner like a certain item, then that is what matters. Of course, not everyone’s opinion is the same and what works for one might not be suitable for another, and if you have your heart set on a specific look, then why not? There are no hard and fast rules about mixing old and new furniture and it very much depends on your personal tastes. Sourcing potential pieces using an online antique dealer certainly takes the hard work out of furniture hunting, and with a little patience and a keen eye for a bargain, you can add a world of antique charm to any modern setting. Enhancing your home’s curb appeal—i.e. 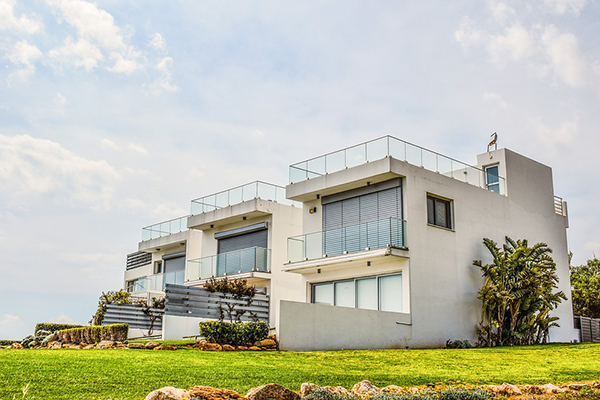 its attractiveness when viewed from the street—can net you quite a few benefits, with the biggest being that it immediately drives up the perceived value of your home. This is obviously a good thing, especially if you’re planning on selling your home and property in the near future. 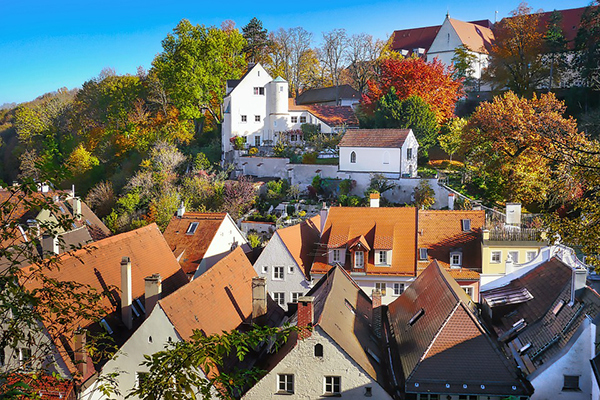 Not only will potential homebuyers be more amenable to actually buying your home, you’ll also be able to negotiate for a higher price. But even if you’re not thinking about putting your home on the market, it’s always a great ego boost to hear your friends, family, and neighbors talk about how easy your house is on the eyes. If that sounds like something you’re up for, then let us help you get started. Here are a few effective ways to improve your home’s curb appeal. When it comes to giving your home the show-stopping first impression you want it to have, nothing does it better than a water fountain installed right in the middle of your front yard. Not only is a water feature on your front yard visually impressive, it also draws the eye immediately due to the flowing water’s constant movement. Combine it with a tasteful arrangement of greens around your fountain along with a perfectly manicured lawn, maybe some flowers for a splash of color here and there, and what you get is a picture-perfect version of your home that’s sure to bowl any guest or visitor over. If there’s a clear line of sight between your front door and the curb—i.e. 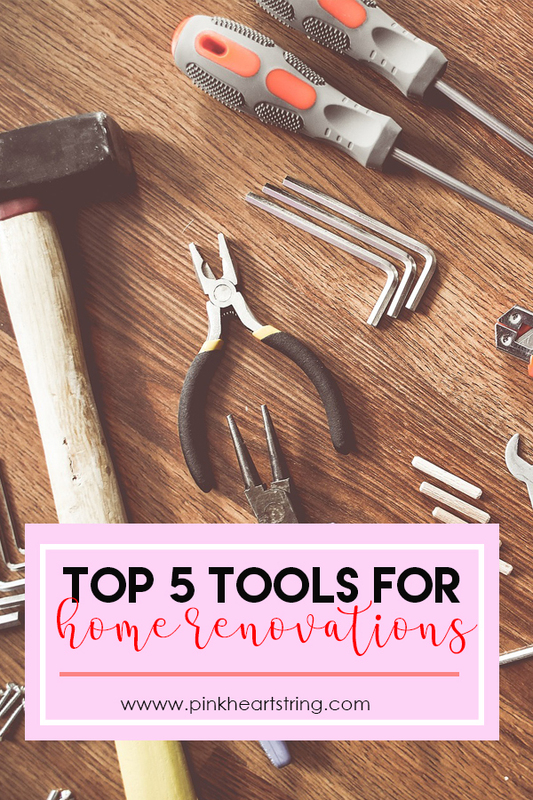 there are no tall fences or other structures that cover your house from sight—then you should definitely look into giving this particular focal point a redecoration, if not an outright restoration. Toss out that dust-choked screen door and spring for a solid, custom wooden door. Then, have it painted in a striking color that fits with the rest of your home’s décor. Red, for instance, is always a great and welcoming choice. De-rust and clean the hinges, the doorknob, and any other visible accouterments made of metal. Finally, if there’s anything around your front door that could use a fresh coat of paint, remedy that immediately. Nothing ruins a great first impression more than approaching something attractive and seeing that it’s not all that hot up close. Sometimes, all it takes to give your home some extra curb appeal points is to create symmetry with your decorations. Symmetry, which means making sure that whatever’s happening on one side of the house is mirrored on the other side, is immediately pleasing to the eyes. 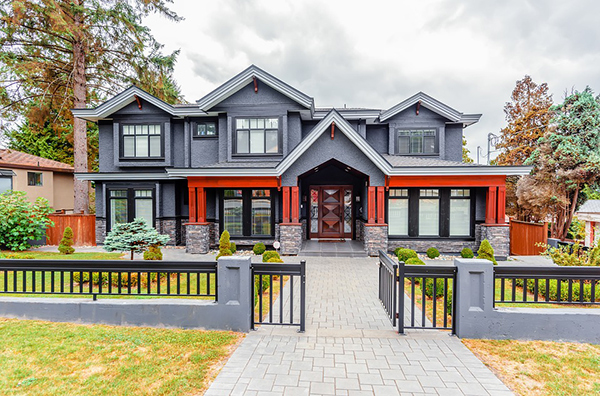 It also makes the viewer focus on the bigger picture rather than specific details, so if you have some old furniture or fixtures that you haven’t quite gotten to fixing or replacing just yet, symmetry can help gloss over them and make them seem to ‘fit’ more with your home’s façade. Elements to think about when trying to achieve symmetry for your home are light fixtures, door decorations, and potted plants. 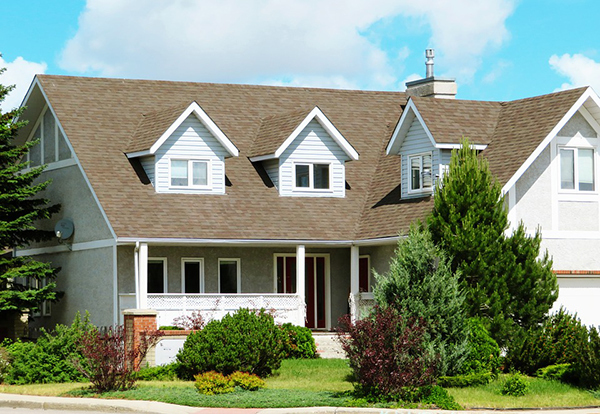 One particular element that can make or ruin a home’s curb appeal is how its windows look. If they’re well-maintained and cleaned, all the better. 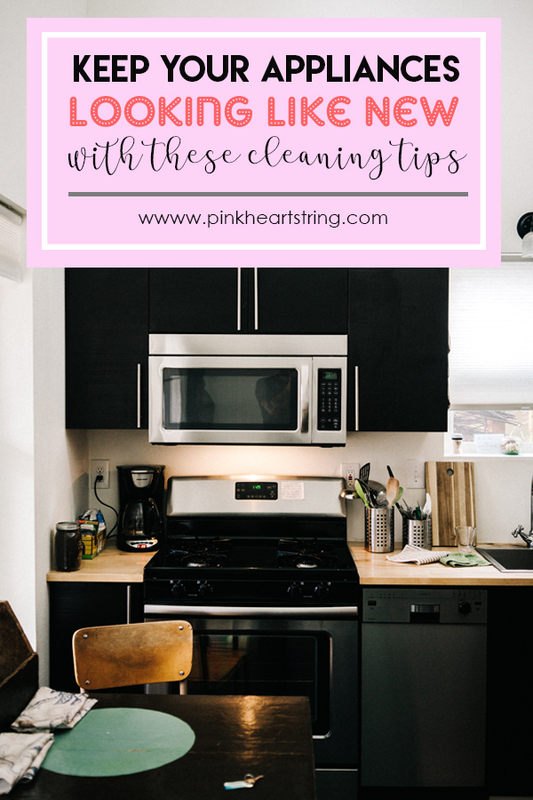 However, if they’re dirty, rusting, or in a visible state of disrepair, it’s just going to bring the entire look of your home down. Replace them immediately, or at the very least, give them a fresh coat of paint if you think they’re still fine on their own. Have the glass replaced or deep-cleaned by a professional. Finally, get some blinds or curtains to complete their look. Not only will these improve the appearance of your windows, they will also allow you to control how much light is getting into your home, in addition to providing you privacy. Whether or not you have a lush green lawn leading up to your front door, you could never have enough plants decorating the outside of your home. Don’t just resort to placing a potted plant here or there, be creative! Integrate small boxed plots into your décor, or even have a hanging garden set up to frame your front door. Don’t just go for boring ferns either; experiment with herbs, flowering plants, cacti and other succulents, bamboo and other grasses, and trees to really make things exciting. If you’re still stumped as to what to do, you can always get a professional landscaper’s services and see what can be done. 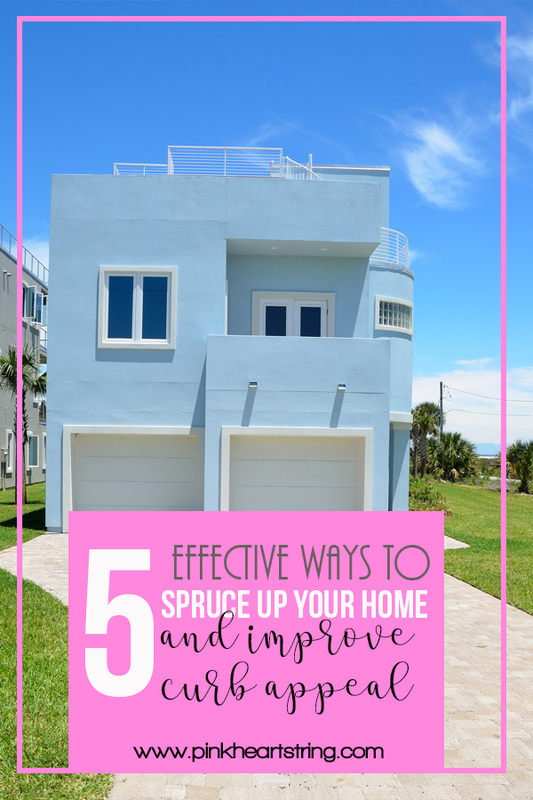 There you have it, five ways in which you can dramatically increase your home’s curb appeal while also giving it the sprucing-up it needs. No matter which one you pick, though, make sure that it’s within your budget and that it doesn’t clash with aesthetics that you’re trying to achieve. Other than that, have fun, and don’t be afraid to experiment! A kitchen is the heart of any home. It isn’t just where meals are prepared for the entire family, but memories shared. A typical day probably starts in the kitchen, meaning it can kick off your day positively or negatively. Depending on the size of your kitchen, it could also be the space where you entertain your guests indoors on those cold winter days. Therefore, it’s important to keep your kitchen looking good year-in-year-out. Updating your kitchen doesn’t just give it a new look, but can also add the extra space you need. A spacious kitchen with sufficient storage is easy to organize and keep tidy. 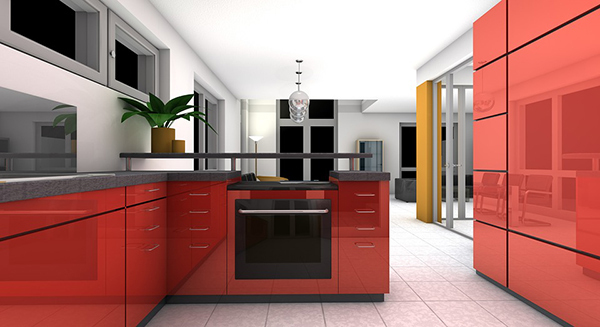 Your kitchen is bound to be more appealing and modern-looking, keeping everyone happy. Open shelves are an enduring trend that can give your kitchen a new look. When updating your kitchen, consider removing some cabinet doors to give your kitchen a new look with open cabinetry. You can also replace closed-door cabinets with open shelves for a totally new look in your kitchen. Store the cabinets you remove in your basement so you can return them in the future if the need to remodel your kitchen arises. If you don’t want to replace your cabinets, paint them in a different finish to add a dramatic look and beautiful backdrop for your kitchenware. 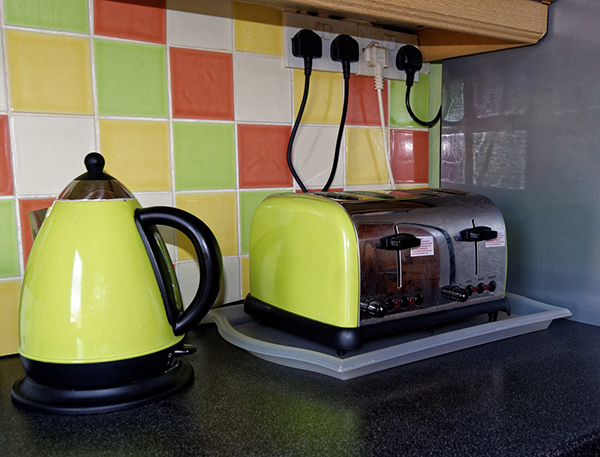 Use colors that complement your kitchen appliances. Old appliances can leave your kitchen looking gloomy and uninspired, especially if you aren’t into the rustic look. Buy new appliances to give your cooking space a warm, cozy look with a modern touch. Opt for the trendy, stone-inspired look rocking most modern kitchen today. Choose a look that is both attractive and versatile, but can blend with light and dark cabinetry. Updated accessories add a prime look to your kitchen. Kitchen remodeling doesn’t necessarily involve a full kitchen update. Simply changing your backsplash is enough to give you a kitchen looking as good as new. With a variety of tiles in all sorts of colors and sizes to choose from, there’s one for you. Choose the best tiles according to the pattern or different shades of colors available in your kitchen. A modern backsplash is a sure way to add texture, depth and your interesting personality to your kitchen. Simply repainting your kitchen can help you achieve a powerful transformation in your cooking space. Moreover, paint is the easiest and most affordable way to give your kitchen a new look. If you want to bring a warm coffee feel in your kitchen, paint it in gold, reds or greens. If you don’t like bright colors, choose a sea salt tone or white because it’s accommodative to many people. Creativity is the essence when it comes to revamping your kitchen. Adding accessories can help remodel your kitchen. Use an old shutter as a dish rack and create a small kitchen garden using a vintage crate to add character to your kitchen. Check out the Atlas Ceramics kitchen range for what you might need to update your kitchen. Do you want to lighten up your home? You can do that by adding different kinds of lightings. Aside from your main source of light, accent lights will add some magic to your home's appeal during the night. 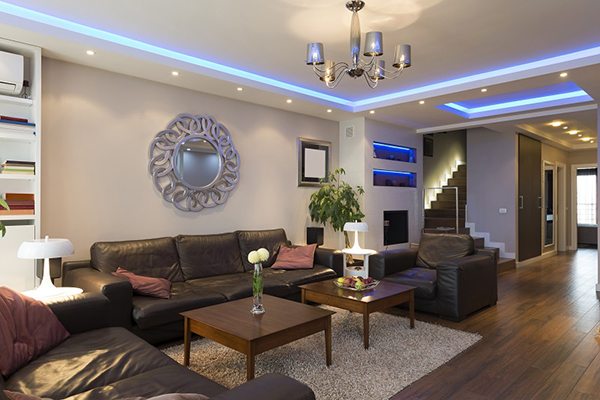 You can add even some Led downlights to your home! The led downlights usually come as a set that comprises three components. All these components have remarkably high quality, durability, and functionality. It consists of an adjustable head and can be installed very easily. The features and style of these lights make it ideal for a variety of applications. Each set of these downlights comes with power consumption, a luminous flux and a beam angle which is of usually 120 degrees. These downlights can be attached to the ceilings and walls in your kitchen and living room and even in the hallways of your house. Apart from the lumen and cost-effectiveness the reason you should switch over to the use of led downlights is its stylish appeal. It is a perfect element to suit the interior design of any modern home and add to the meaning, beauty, and functionality of the space and at the same time keep the monthly utility bills to the minimum. 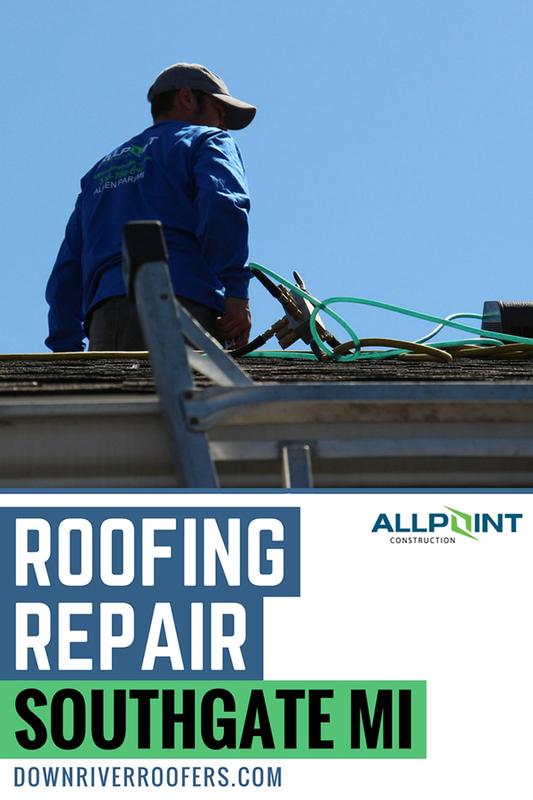 It can be used for much longer hours as compared to any filament or vacuum lights and as it takes up a lesser amount of energy you should not be concerned with monthly bills. LED does not heat up easily and can be allowed to remain on for long periods without the risk of overheating. The sleek yet low profile look will not create any clutter or take up much space like the other lighting options. 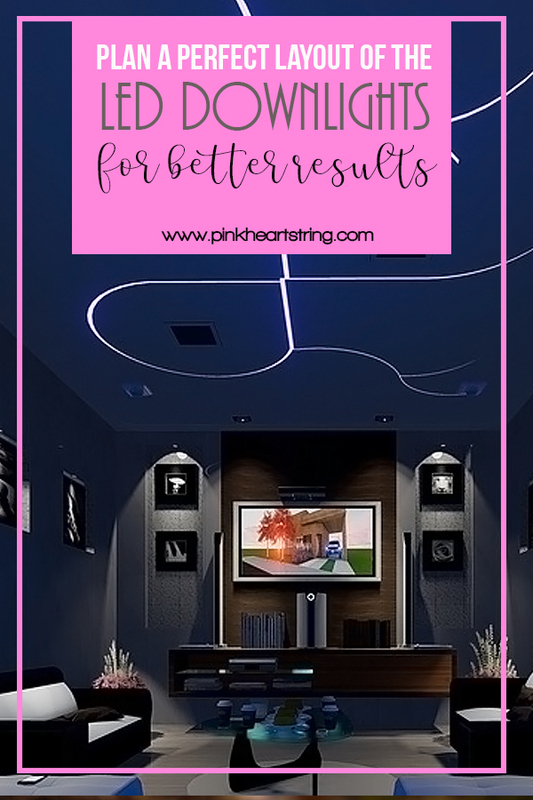 To make the best use of the led downlights you must have a proper layout and plan to install these in your space, whether it is your office, shop or home. 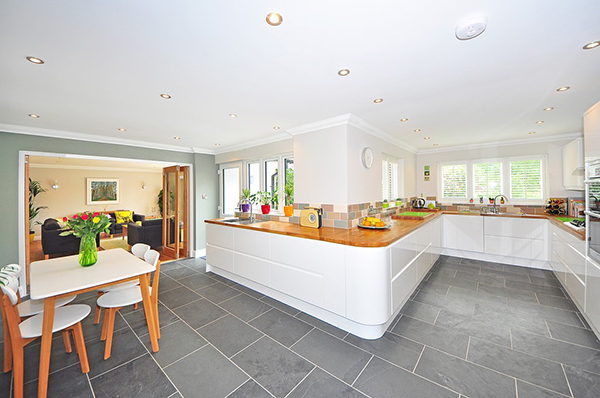 You can use one or multiple downlights depending on your space and lighting requirements. You can position it anywhere and anyway you would want them to, in order to shed maximum light at the desired spot within the room. To decide how many downlights, you need you can follow the rule of thumb which says that a single downlight will illuminate an area of 1.2 square meters sufficiently. As per the dimension of your room, you can now calculate the number of downlights you need for your space more precisely. You should also consider the furniture and decor of the room as these will absorb some amount of light. • The focal points are the primary concern as you will need more light in specific areas of the room. Deal with these areas with priority. For example, if you intend to install these lighting systems in your bathroom you should start with areas like above the wash basin that will need more light. Arrange the other downlights accordingly around it. 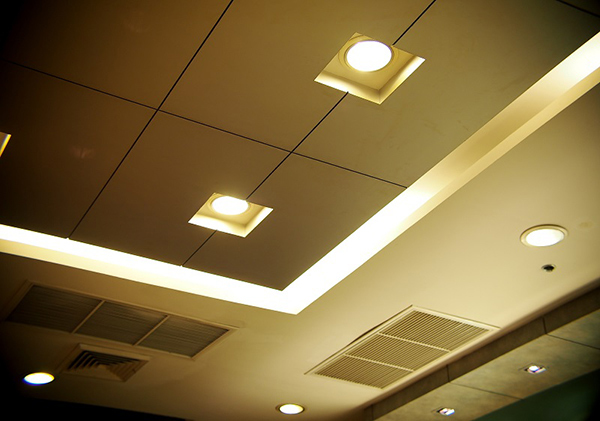 • The ceiling edges are also very important to position the led downlights as if these are too close to one another then it will create unwanted shadows in the ceiling. This will make space look gloomy and smaller. • Consider the ceiling height so that the light radiates perfectly to all sides and illuminates the area evenly. Ideally, the downlights will radiate lights in a shape of a cone to the floor and these cones of different light should intersect with one another way above the floor to provide even illumination. • Utility of a room should be considered before downlights are put up. 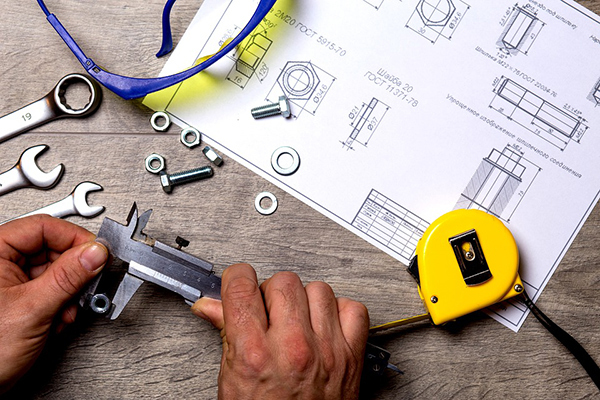 The level of brightness required for a room will be usually dictated by the function of the room and accordingly, the focal points should be determined. Lastly, dimming the led downlights is necessary so that the light levels can be adjusted according to your needs as well as that of the room. Your bedroom is your personal space where you can express your style through décor and create an ambiance that will inspire relaxation. 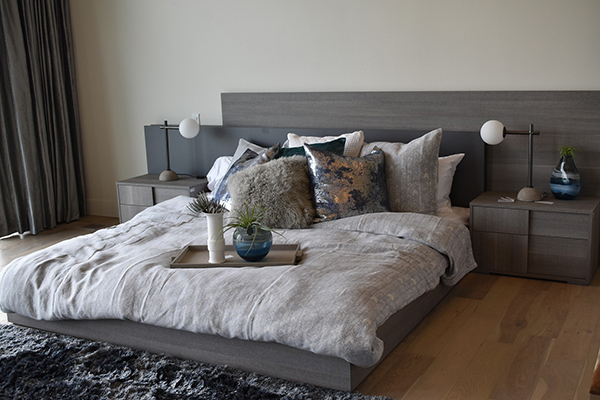 Introducing a sense of novelty through a few design changes can help you fill your bedroom with a new vibe, which can also have a positive effect on your mood. 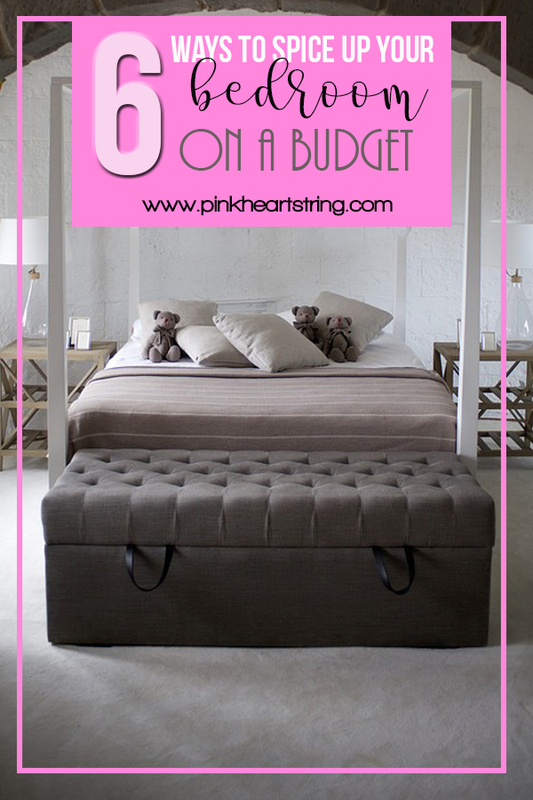 And you don’t even have to worry about the price because there’s plenty of inspiring décor ideas that will help you spice up your bedroom on a budget. 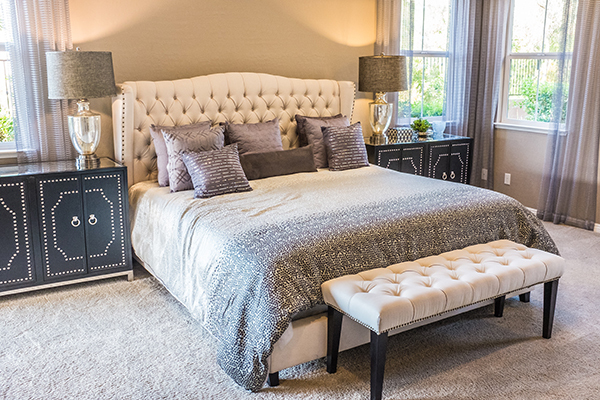 Rearranging your furniture is a simple and free change that can completely transform your bedroom. You can place your bed in a corner or on the opposite side of the room. 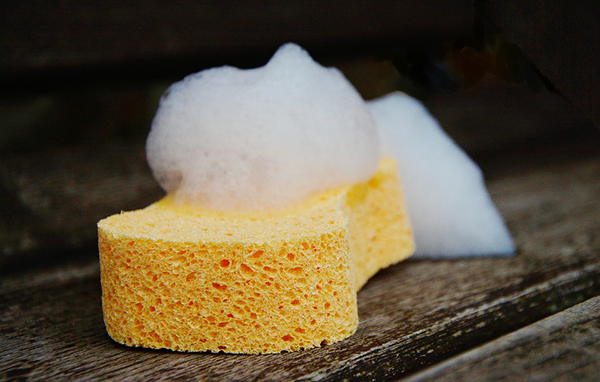 You can also remove a piece of furniture or bring in one from another room. For instance, you can add an armchair from your living room next to your bedroom window to create a cozy vibe. Giving your walls a new look is one of the most budget-friendly updates that you can introduce to your bedroom. There’s plenty of stylish ideas that will elevate your bedroom décor. For instance, you can simply apply a fresh coat of paint and pick colors that will create an ambiance of relaxation and serenity. You can also paint a single wall in a different, bolder hue and transform it into an accent feature. Another trendy way to update your bedroom walls is to introduce stylish wallpapers. You can find a range of chic designs that will introduce a specific style, add a touch of elegance or create a quirky vibe. Introducing plants to your bedroom will help you liven up the atmosphere and create a soothing look. Plants will energize your space with a beautiful splash of green and enable you to style up the décor. In addition, plants will also help you create an open, airy ambiance in your bedroom filled with fresh air. Not only will this make it more enjoyable and positive, but it will also provide you with a healthy sanctuary. 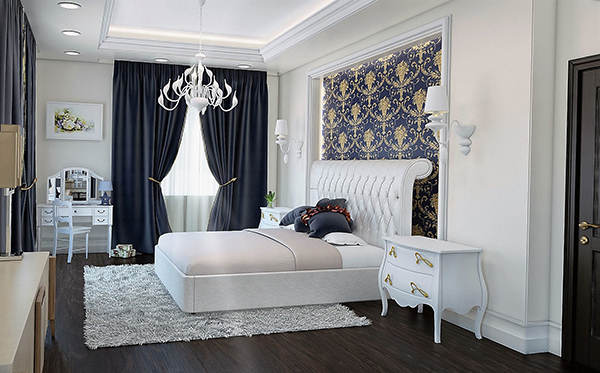 A master bed can be used as a stunning focal point in your bedroom. It can boost its functionality and enhance its aesthetic appeal. And you can dress up your bed in just a few simple steps. For instance, you can introduce colorful and stylish throw pillows and sheets that will elevate the décor and create a cozy look. You can also add a beautiful bedframe made of salvaged wood or repurposed doors. However, you shouldn’t forget one of the most important elements of your bed– the mattress. A quality mattress is a key feature that will provide you with proper back support and enable you to have a good night’s sleep. Thus, you should browse online mattress sale offers and find a quality mattress at an affordable price. After all, the key features of any bedroom are comfort and coziness. Investing in a durable mattress will make sure that you wake up every morning feeling rested and energized. 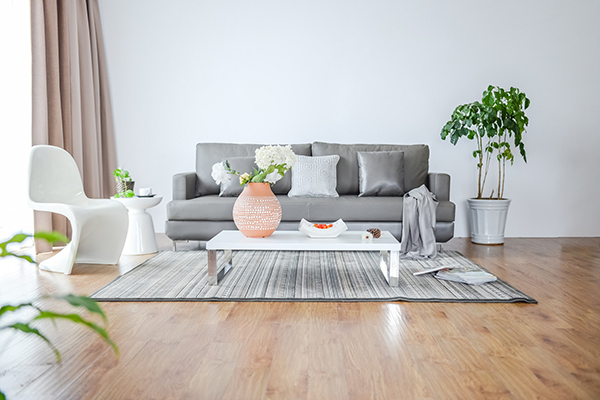 Although you’re decorating on a budget, you shouldn’t hesitate to treat yourself and buy one or two quality pieces. It’s important that you splurge on an item that will give your bedroom long-lasting appeal. It can be a new stylish nightstand, a lush chandelier that will add a touch of glamour or a chic dresser that you’ll use for years to come. Afterward, you should accentuate this piece and bring it into focus through different design details. 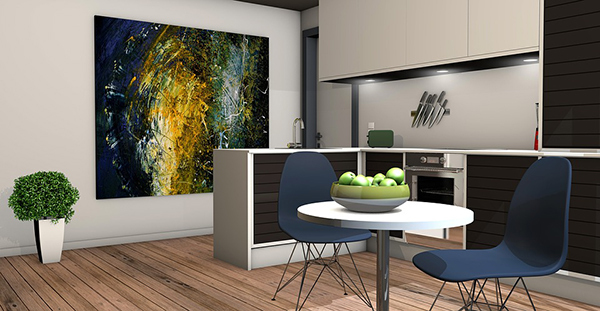 Art is a great way to give a personal touch to your space. You can exhibit your favorite paintings, paint your own mural or create a stunning artsy collection in your bedroom. A single large work of art above your bed can be used as a décor statement that will dominate your room. 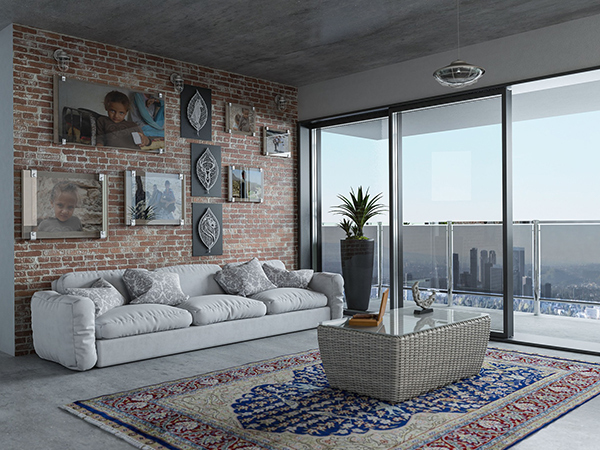 On the other hand, a collection of paintings and photographs can transform your wall into an accent, gallery feature. You should think outside the box and use other items for your unique artsy expression. For instance, you can embellish your wall with a collection of colorful plates. 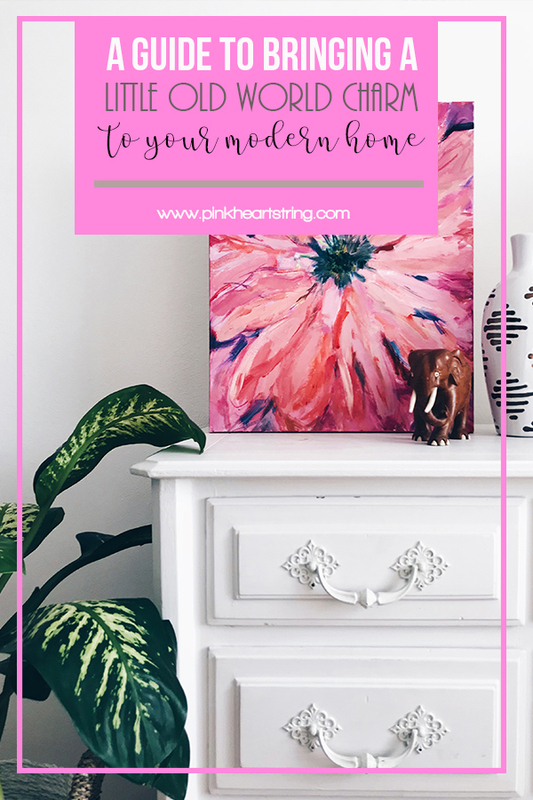 For a truly budget-friendly solution, you can print out your favorite wall art and hang it on your wall without frames. This will create an authentic look at a truly affordable price. Aside from that, you can also add beautiful window coverings like a gold sheer curtain. This will no doubt bring a soft yet striking texture to your space. Your bedroom should exude comfort, authenticity, and personality, so don’t hesitate to style it up. With these affordable ideas, you can create a new look that will reflect your personal taste. 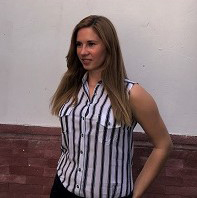 Chloe is a graduated journalist from Adelaide and a regular contributor to Smooth Decorator. She loves everything related to decor, aesthetic and lifestyle topics. She is also passionate about photography. Her biggest dream is to travel the whole world and take some stunning photographs of beautiful places. Besides all this, she enjoys drinking coffee and reading a beautiful book from time to time. Are you get tired of the old furniture and want to make your home look more attractive? Perhaps you can consider adding a piece of mirrored furniture to your living space. It has been a trend in home decorating for centuries, and lately, it is in the scope of interior trends again. 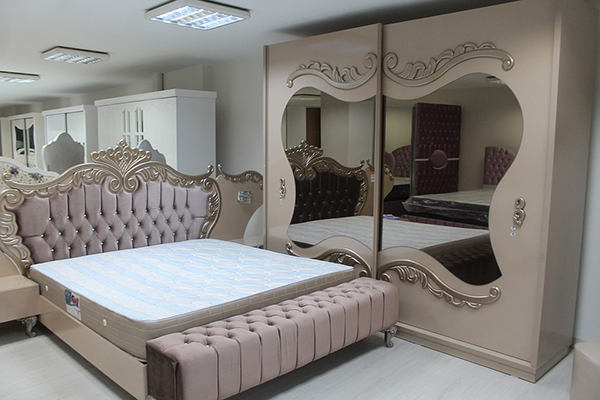 Mirrored furniture is used mostly in bedrooms and bathrooms, in order to prepare ourselves to go out. But mirror furniture is not just about checking your appearance. Aside from looking charming and sophisticated, it has additional practical advantages in the home. That is why its use has increased in other rooms as well. Mirror furniture does not have to be combined in sets with other pieces in your home. A single piece of furniture will be effective wherever you place it: in the hall, living room, bedroom or bathroom. You can choose among large pieces that are eye-catching or smaller pieces that will discreetly add shine and glow to your room. You can even combine more pieces with mirror surfaces in one room, and make it look more elegant. A nice touch is to combine one big piece of mirror furniture, like wardrobe, and another one small piece in distant part of the room. The combination of mirror wardrobe and drawer can be very effective in your room. If you place a piece of furniture with large mirror surface in your room, you will visually enlarge the space. Using mirror furniture allows you to choose a piece of furniture that doesn’t crowd a room and makes the space appear larger, which can be particularly useful in a small space. The combination of a mirror with other materials, especially antique looking furniture that has mirror surface can add a high-class look to your living room. Adding a couple of additional antique pieces and smartly positioned light to the space enriches your living room, makes it a place with character and stunning look. It also gives a touch of mystery and elegance to the overall atmosphere. 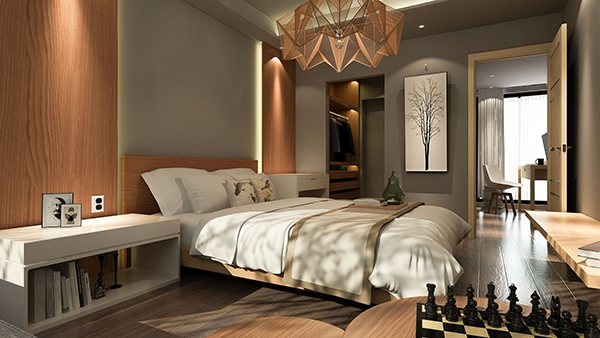 Light is a very important characteristic of living space, especially when we talk about the bedroom. In this room, you might want to keep a furniture simple but still have a large mirror which will reflect rays of morning sun all over the room. And in the evening you might wish to have the effect of multiple candlelight for a romantic touch. In the bedroom, there is always a necessary practical side of the big mirror as well which is used in checking your appearance while preparing for the new day. Simple lines and a large mirror keeps your bedroom look smart and simple, but still functional. There are many different combinations of bedroom mirror wardrobes. They can be combined with other material or completely covered in mirror. White color combined with mirror gives a special effect of purity to your wardrobe and additional light surface to the room. For example, there is plenty of available combinations of white mirrored wardrobes on Amazon, where you can make a choice that best suits your needs and taste. My web search showed that mirror furniture is used quite often these days, due to its many practical, esthetic, and visual functions. There are no limits concerning mirror furniture styles, from antique to contemporary, and the style is present during centuries, in spite of the continuous changes in furniture styles and designs. Mirrored pieces of furniture can be a great addition to any space, and you can combine number and size of these pieces and put them in different places in the room, to make a greater effect of mirrors. There are many styles of mirrored furniture that have developed over the years, and it can be combined with almost every style. So, if you let your imagination be done, you can find just the right kind of piece to fit in with your room’s décor. However, when you arrange a mirrored furniture in a room, keep in mind that no matter how much you like, all of the choices available. You only need a piece or two in any room to maximize its impact on the overall impression and make your living space look like a dreamland. A greenhouse, or a glasshouse, is a transparent building where plants are grown. They're built with glass walls and roofs and are specially made to cultivate plants that require a controlled environment. They serve as a shield between your plants and nature, minimizing any destructive impact it may have, and improving your yield as well. Location is one of the first things you need to settle before starting to build anything. 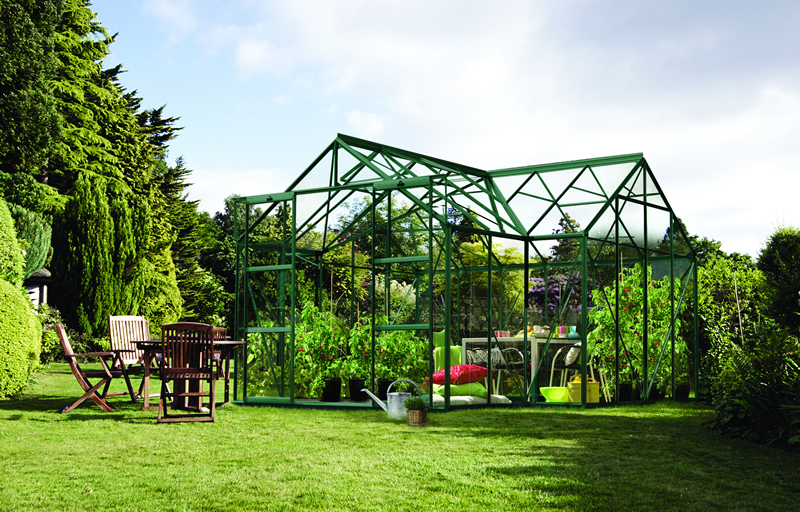 Choosing the perfect spot for your greenhouse is critical for a lot of reasons. You want to choose an area with maximum exposure to sunlight as it promotes growth. Most of the time, it is located in the home's backyard. A shady place won’t do good for your plants. Setup your greenhouse to face the morning sun if possible. And make sure it’s exposed to healthy sunlight for at least six hours each day. After finalizing the perfect location for your greenhouse next is to determine how big ta space it’s going to take. 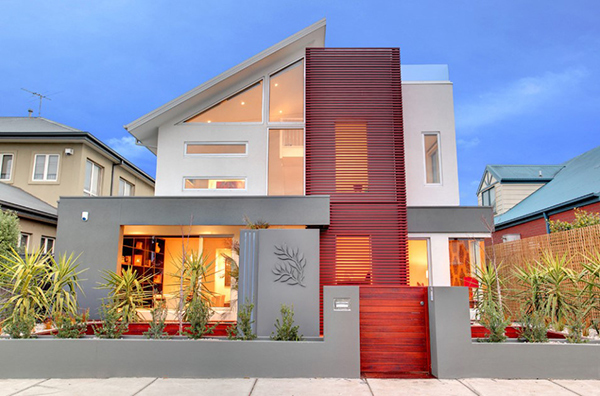 Budget is a big consideration in determining space, as well the actual size of your yard. If your first time to get a greenhouse, work on how much your budget can afford you. Also put some leeway for future expansion, in case you want to grow your greenhouse in the following years. Don’t be afraid to go big, especially if you can afford it and you’re really dedicated to it. A lot of newbie gardeners build very conservative sizes at first, only to wish they had more space later on. Unless you have experience in woodworking and have some materials to spare, then you can probably consider getting a greenhouse kit instead. 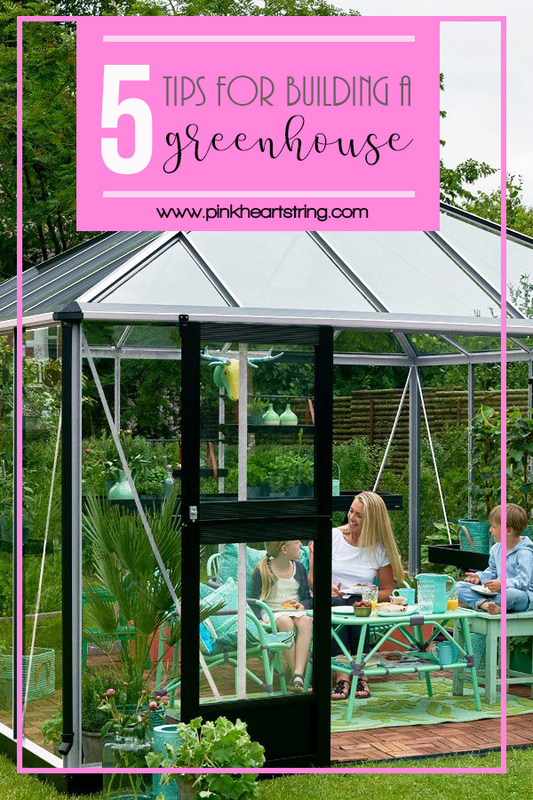 They’re, of course, more expensive than doing it yourself, but if you’re just starting out and wants something that can be set up quickly and efficiently, premade greenhouse kits are a good choice. 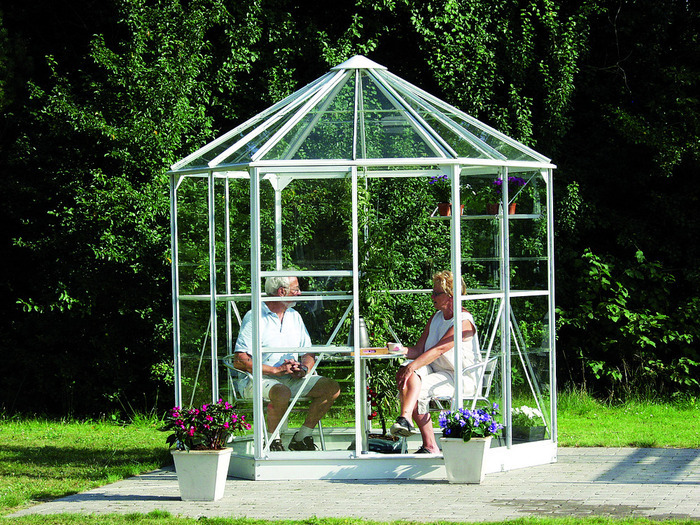 Eden Greenhouses offers beautiful models that fit perfectly in your yard. Kits come in different sizes, from something as small as 4x4ft to something as wide as 10ft. You’re sure to find the perfect size. Premade kits are easy to assemble and are equipped with sturdy features and a reliable ventilation system to it’s perfect for a quick start. Laying the foundation is the first step in any building process. Even if you’re just setting up a purchased kit, you still need to prepare the base it’s going to stand on. There are several types of foundations you can choose from. There’s compacted soil/earth which provides good drainage and is cost-effective (you can use your existing ground). You can also use a perimeter base as a foundation for the greenhouse frame and leave the central floor open to expose the ground. The more expensive options would be to use slabs or concrete pads. They last a long time and provides a simple and clean environment for your plants, but you’re limited to growing on grow bags and pots. 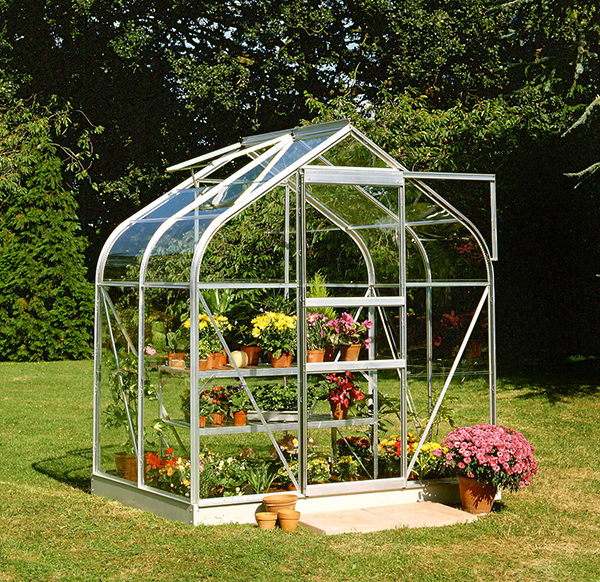 Greenhouses can be made using an array of materials. For the frames, you can get either wood, aluminum, PVC, resin, etc. The panels come in an assortment of types as well. You can choose from a selection of glass and plastic. Polycarbonate is something worth considering though, as it’s very sturdy, almost unbreakable, and allows light to fully come in while filtering out ultraviolet rays. With spring season comes floral designs. And that’s not only in the fashion world. Home décor and design will also be dominated with everything flowery. 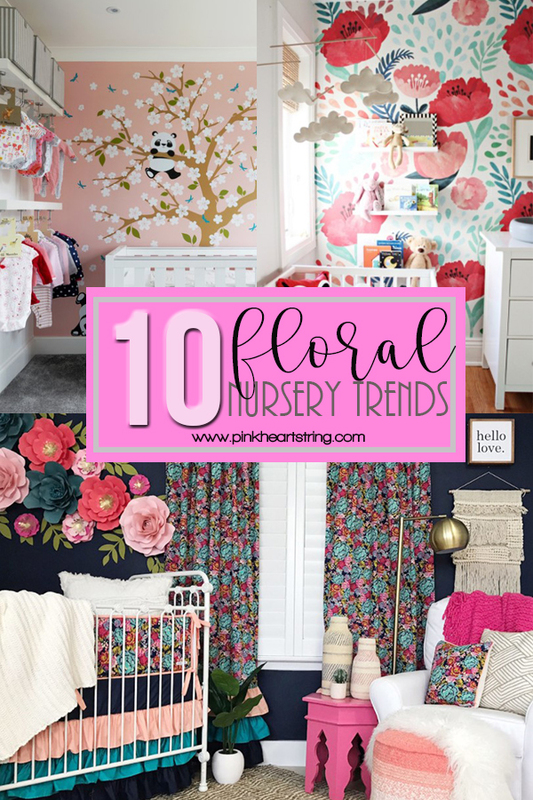 But for this post, let’s just talk about floral nursery trends that will likely dominate this year. 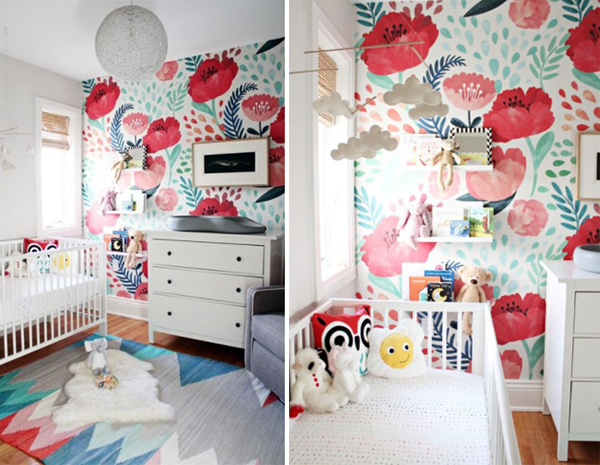 Here are 10 chic floral nursery design inspirations that you can recreate in your little one’s special place. Great for nurseries with large floor areas, oversized floral prints and décor brings the garden right inside your nursery. Massive blooms look playful yet pleasing to the eye at the same time it heightens the imagination of young kids. There is a wide range of oversized floral print designs for your wallpaper, curtain, crib bedding, quilt, and so much more. And since the nursery has a temporary lifespan, it provides the right place for such a bold statement. Take note, however, that not every space is compatible with this design style. A perennial design trend for nurseries, flowery outdoor patterns will still be a huge favorite this year. Any nature-inspired design and décor around the green palette will be a good pick for gender-neutral nurseries. A mix of floral and tropical themes would still dominate but we predict Saharan or South African designs, inspired by the hugely successful Marvel’s movie the Black Panther, would get attention too. Whimsical, sweet and fanciful paper flowers will continue to be a trend this year. Available in wide range colors, styles and shapes, paper flowers can be used as accents. For smaller spaces where oversized floral prints are compatible, you may consider hanging paper flowers on walls and ceiling as an accent to plain colored walls. Be creative, place flowers randomly around the nursery or style them symmetrically on the wall. 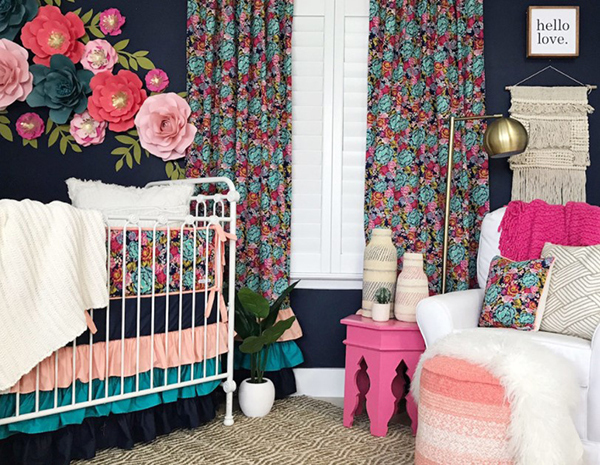 Floral prints and designs along the spectrum of pink will be a common motif for nurseries this 2018. 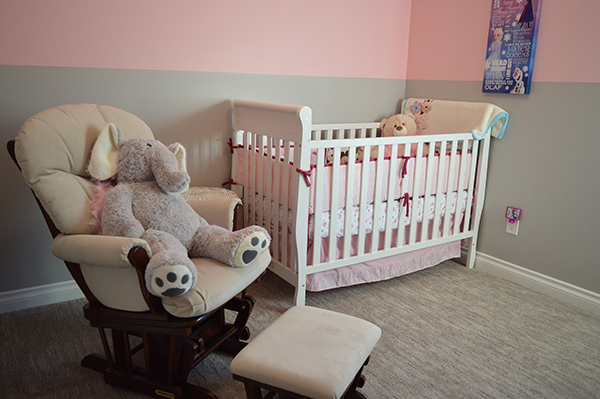 The softer shades such as blush pink will be the top pick, especially for a baby girl’s nursery. 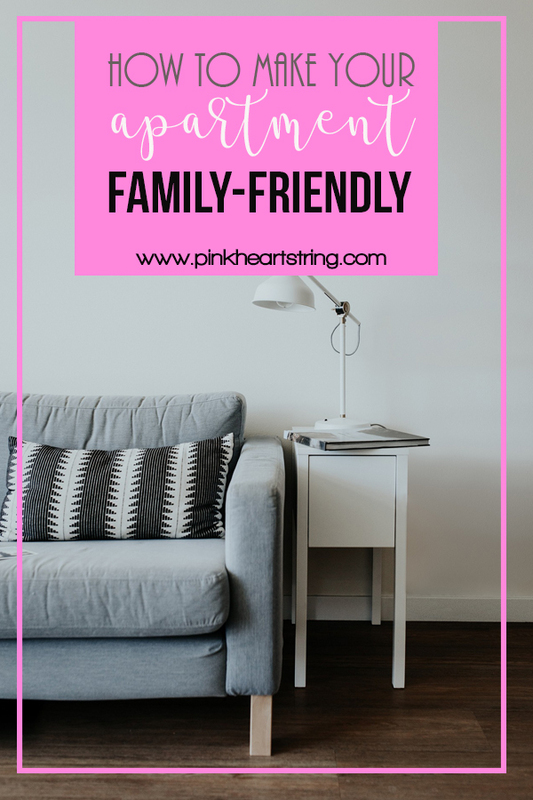 Pink wallpaper, quilt, crib bedding and wall décor are great buys! In the creative world, the color ultra violet has been announced by Pantone as the 2018 Color of Year. The blue-based purple shade will likely dictate home design and décor. And in nurseries, this color translates to lavender. Empowering and ultra modern, floral prints with shades of lavender are expected to pop up this year. Lavender (the flower) prints might also be a trend. It looks fresh and classic. Just thinking about purplish cribs and wall décor will make you giddily excited. Enhance your nursery design by using greenery as accents or details. 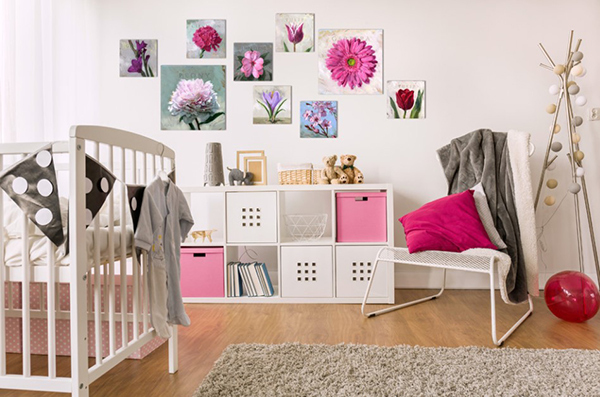 Branches, flowers, and leaves can add texture and color to your baby’s room. Be creative and find unique ways to incorporate these greeneries into the room. It is safe to bring in synthetic greeneries such as cloth or plastic leaves or flowers instead of living ones. This will continue to be dominant design throughout the year. For some years now, temporary wall art has become an on-trend in the design world. Not only does it give you the flexibility to change as the trends evolve, it is also easy on the pocket. Temporary wallpaper and removable wall decals with floral prints are a great pick. You can also place flowery wall hangers or picture frames. These artsy items don’t require messy glue or wall drilling. What makes them easy to love is the fact that you can reinvent and even reuse them. A pervading trend in nursery designs is keeping the room simple. Floral decors that are not too obstructive or too ‘cluttery’ will dominate. Parents definitely understand the importance of maintaining a clutter-free nursery to make their lives easier. Perhaps, you know just how chaotic living with a baby is. And this becomes even more chaotic as your child grows. A few good-quality, unique flower accessories for the walls and window will be enough. Use of flowery décors that can double as storage is a smart way to go. A familiar trend in home design, hand-lettered signs have found its way to the nursery as well! You can prop up your baby’s name written on a floral-inspired wall hang. There are also flowery wall signs that bear prayers for your little tot’s guardian angel. You can even choose a favorite saying or psalm. This will surely give your baby’s room a unique décor! For this year, we predict floral baby stuff such as toys, quilts, pillowcases, lamps, picture frames, curtains and so much more to reign supreme. This will pop up along with favorite picks that include baby animals and miniature stuff. They will look perfect addition to your nursery design and will bring life to it. There you have the top 10 floral nursery trends that will likely hit this year. Hope these trends list will help you choose the best and most comfortable design style for your baby’s nursery. If you need some flowers and you hail from Sydney, then you can’t go wrong with Flowers Across Sydney. Which design style appeals to you most? We’re excited to see these trends come to life in your nursery!